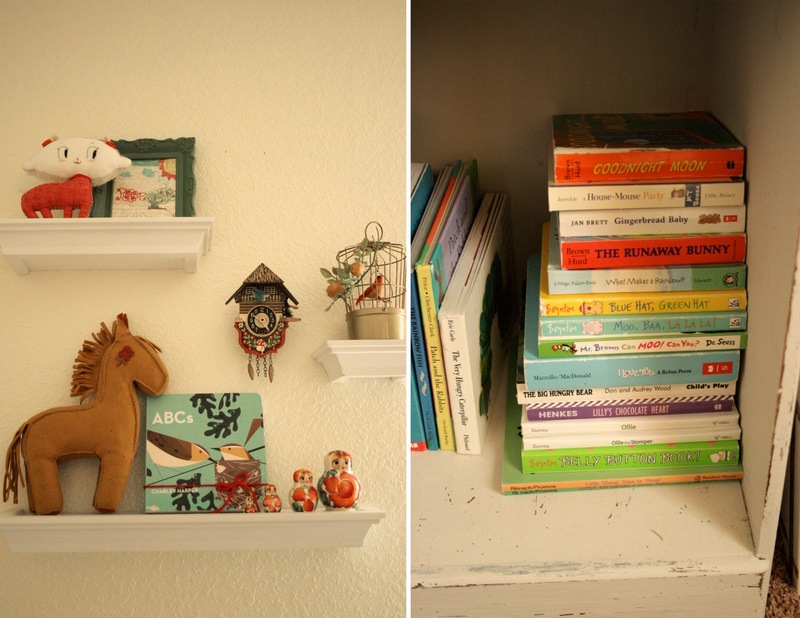 I love that she already has a huge book collection (mostly not pictured). Hope went through all of her books (that girl has a MAJOR library) and made a baby pile. I really hope Poesy is a reader just like her big sis. Charming and sweet and beautiful. Just like Miss Poesy! 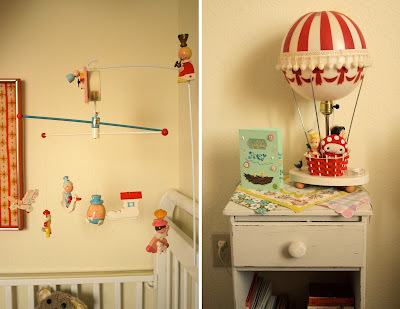 her nursery looks beautiful and so does little poesy! what an adorable name! How inviting! You did an amazing job. Snuggling that sweet little baby in that space makes it even better. I love the light switch plate. And the Pinata taxidermy. A very, very cool room. 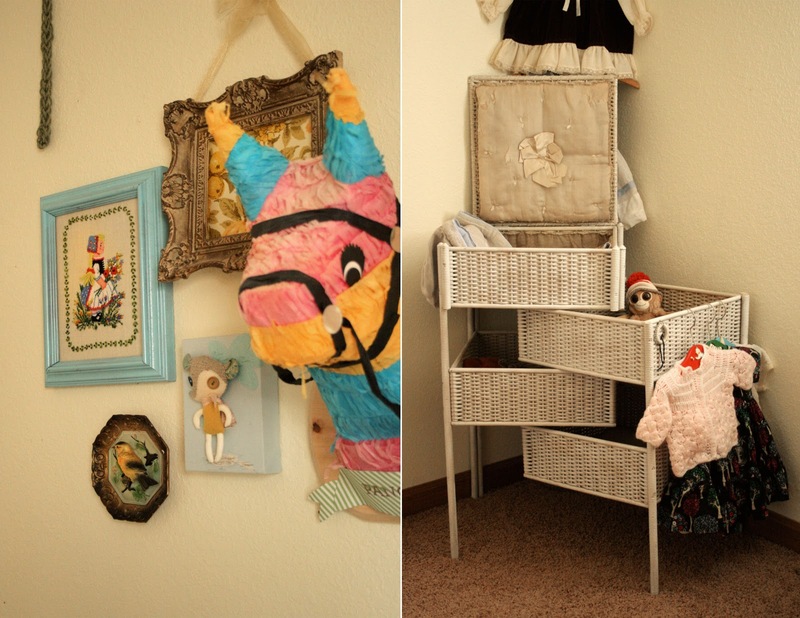 a darling little room and a darling little baby. ooo I love it! How dreamy!!! Be still my nursery loving heart! 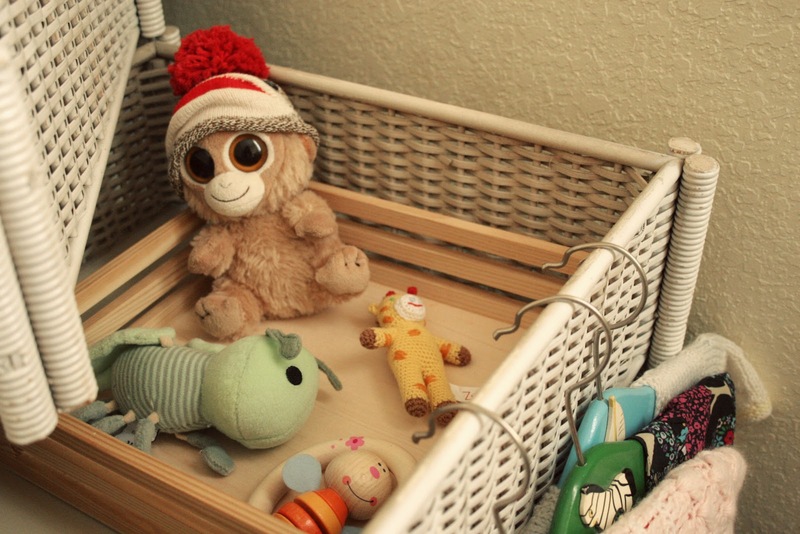 What a beautiful space for a beautiful baby. Kudos Ms Katie - you are one fine decorator! How lovely! I am so glad you posted this, I really need some inspiration in getting prepared for my little girl! Love the room - and she is adorable!! how cute! seriously, this is beautiful! How adorbs is that lil hat???? i would give up everything in my room now to have that one. its beautiful, you guys did a wonderful job! love it! give her a kiss on her little baby head for me! and lovely baby!!!! happy day!! lovely hugs!!!! the nursery is beautiful! 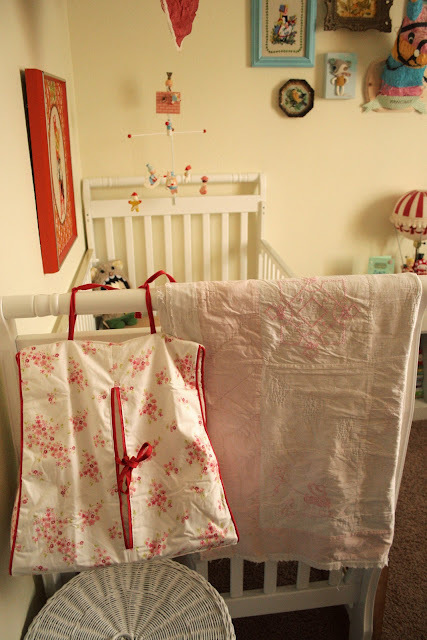 oh I am so anxious for my little girl to arrive, due tomorrow! It is so charming, homey and cozy!!! I just love how you can TELL it was done with love and care. So sweet!!! i adore it!! just perfect! gosh, I am so not a baby person but your little girl is adorable and her room is already so covetable! It's LOVELY. So are you, and your new little one - absolutely adorable! So sweet so sweet, I can sense your happiness! 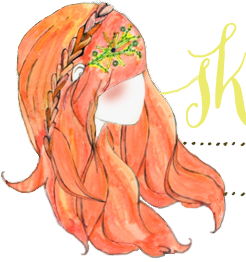 ^__^ I love her name, Poesy sounds like the swedish word for poetry which is "poesi". So beautiful! 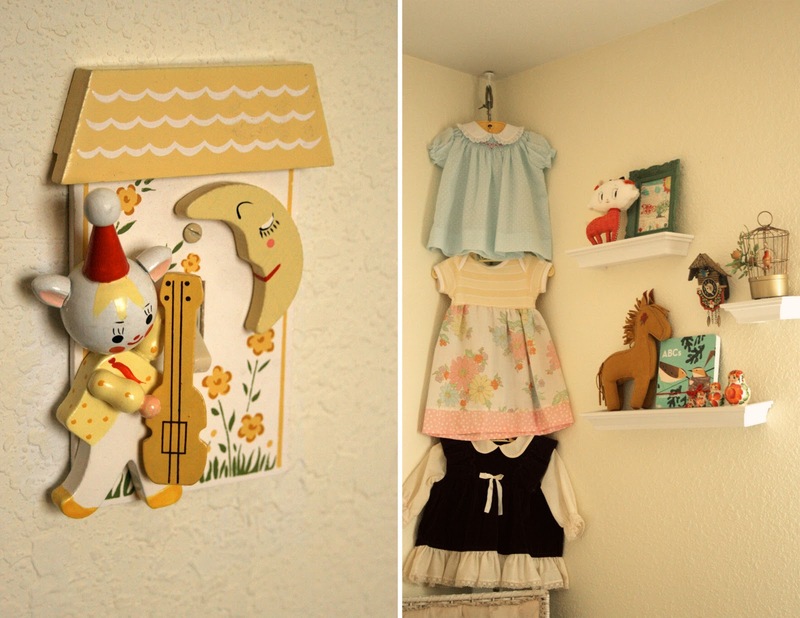 ohhhh :) :) I totally fall in love with this baby-room !! Oh, what an adorable room! So many lovely things for her to look at and love. She is a lucky little girl to have such a creative mum, and a generous sister! awh, it's so pretty. as is she. Her hat is amazers!! Congratulations for the good job Katie! 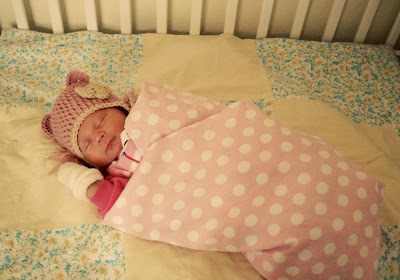 This nursery is like a dream come true, and Poesy is so sweet and lovely!!! What a pretty lil' place for her! I love it! That picture of her is the sweetest! xo! 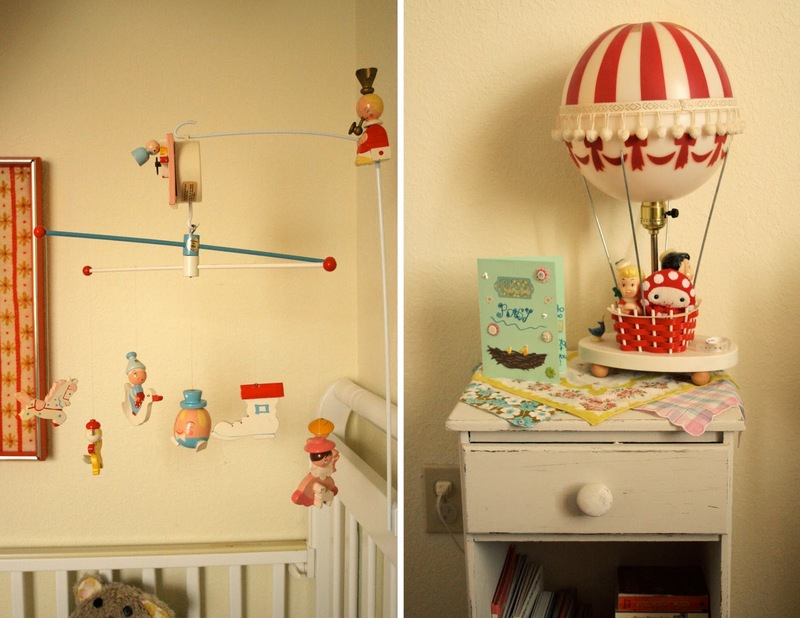 What an inspiring nursery? How do you have the time to do all that you do AND create a nursery like that! You're a Supermom! whoa! i just stopped by from a beautiful mess, and saw your cat & the fiddle lightswitch cover... i had the matching little coat rack to that! just brought back lots of memories. cute nusery! Congrats! 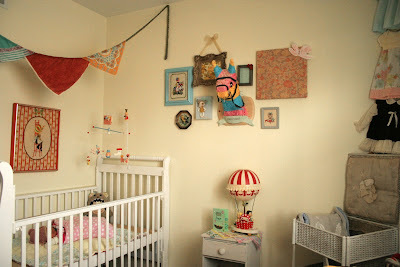 Love the Nursery and the Name, she's precious!!! All the best! The room looks darling! I was just curious where you got the chandelier? 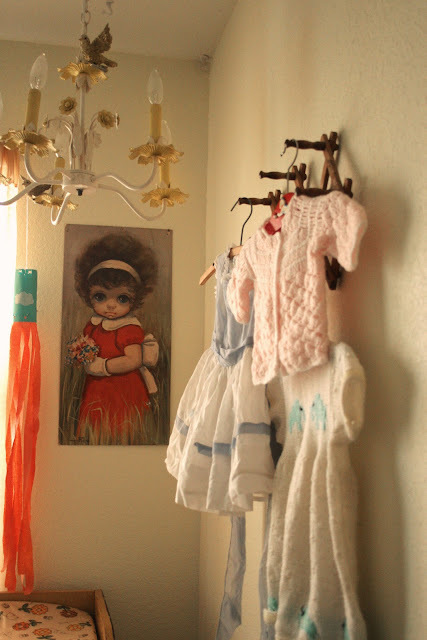 I have the same embroidered Holly Hobbie on my daughter's wall. My grandma made it and gave it to my sisters and I in the 80s!